Doug Burr’s third album on Velvet Blue Music is the first one I’ve really listened to. Doug Burr isn’t as haunting as Gary Murray or Damien Jurado and he isn’t on the whimsical side of Sufjan Stevens. You might put Doug Burr in the same category as J Tillman and Rocky Votolato. O Ye Devastator is simple and understated. The album starts with A Black Wave is Comin’, a simple acoustic guitar and cello song. It’s a beautiful yet simple song. The instrumental diversity is what helps each song stand on it’s own. At the Public Dance is synth and electric guitar driven, where Red Red is a country banjo ditty. I Got This Fever/O Ye Devastator is a more rocking upbeat song. All Our Lives is a simple guitar instrumental interlude that lulls you into comfort. I’m looking forward to going back and listening to Doug Burr’s back catalog. 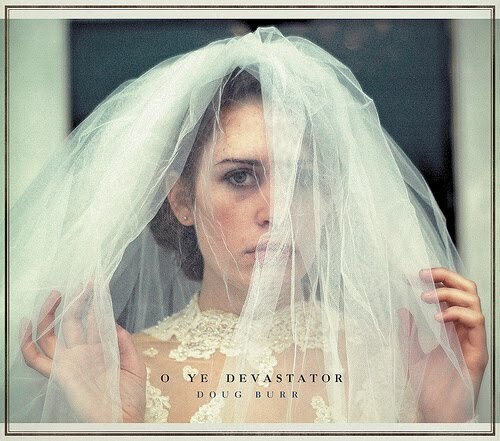 O Devastator is a nice listen and Doug Burr is a fantastic song writer.